Every landlord has a duty to protect their tenants’ security, and along with that the desire to protect their own property. A crucial part of that protection is the proper handling of keys. The use of keys plays a role in many landlord decisions, including whether to use master keys, which employees will have access to keys, and how to handle day-to-day issues like maintenance requests. 1. Never turn over the keys to a new tenant until you have finished running the tenant background check, and the individual has signed the lease agreement. Otherwise, you may have no recourse but to file for an eviction should you discover later that the tenant is not a good fit. 2. Use the same care when screening employees. Ask for references when using outside contractors. Make sure you limit access to master and duplicate keys to only those individuals who have been trained about security. Create a check-in/check-out system for keys to track who had access. 3. The use of master keys is an extremely risky strategy. Other alternatives, like individual locks, keypad locks or pass cards may provide better security for your tenants and your property. 4. When using duplicate keys, be sure to label each using a code system that is not accessible in the case of theft. The more random the code the better. Do not use names or unit numbers on key tags. 5. Duplicate and master keys must be kept in a secure location, away from high traffic areas like the leasing office or lobby. 6. Create a list of all keys that a tenant is given, including gate keys, laundry room, garage doors and so forth. Check that list at move-out to assure the tenant has returned all keys. 7. Prohibit tenants from duplicating keys to reduce the risk. Using keys marked “Do Not Duplicate” will prevent reputable locksmiths or key makers from creating duplicates that could fall into the wrong hands. 8. Make sure tenants understand that they are responsible for their individual safety, and that leaving keys around the exterior of the property could place them at risk. Also, tenants should be instructed to avoid tagging their keys in ways that would tip off thieves to their name, address, unit number or specific door. 9. Using multiple means of entry can cut rental costs. For example, using a keypad lock allows for easy “re-keying” for new tenants, and avoids hassles when tenants misplace their keys. Also, that method allows for a temporary password entry for maintenance workers that easily can be changed to prevent security lapses. Coupled with access cards for laundry or pool areas, the theft of one tenant’s keys or a master key does not create the need to re-key every lock on the property. 10. Always change locks between tenants to reduce landlord liability in the event a former tenant, guest, or thief gains access to your new tenant’s home. we seem to have a system where the manager has a key that once inserted in the deadbolt, this type of key can be seperated from the part that is now in the lock. There fore keeping every one out until the person with the other part of the key can open it. What is this system and how does it work? All it is, is a key that’s been cut into two pieces. You hold them together to form the key and insert it (both pieces, as one intact key), then you remove the big part, leaving part of the key in the keyhole. No other key can then be inserted. The only way to get the piece out is to insert the other part of the key and pull both pieces out together. Legal situations for dong this are few, I think. You can’t lock a tenant out. I suppose and example of a legal use might be if you were working on the public laundry room and sent a notice around that the laundry would be out of service for 4 days because you’re pouring a new floor, then you might use this method to make sure no one forgets and tries to enter the laundry room when it is dangerous for being a construction site. This article offers great advice and I’m going to run, not walk, to change the tags on my duplicate keys for tenant apartments. It’ll be a hassle using a code instead of a name, but it is important advice. When friends have given me keys to their places in case of emergencies, I’ve always tagged them with unidentifiable info (such as “His mom has cats” or “Cher concert”). Same principle should apply to one’s tenants’ keys. The article fails to offer guidelines as to giving rules to tenants re duplication of keys. Is it reasonable for a landlord to tell tenants they may NOT give their keys to anyone else? Surely they can give a key to grandma, who’s visiting from out of state and wants to come in and out while the tenant is at work. But what about local friends that tenants want to be able to come and go. What’s reasonable and what isn’t? Where do you draw the line? What would be good written wording for advice (or rules) to tenants on this? I found out my landlord uses the same key for all of his units. So my key will open my neighbors door and everyone else’s door. This cannot be legal right? Landlord made new keys to my retail unit. Then gave the keys without my knowledge or consent, to other tenants in the building? Is this legal? 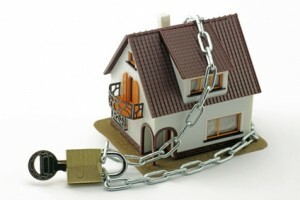 Is it illegal for the landlord to withhold keys. My rental has a front and rear door with different locks/keys. The landlord will not give me the key to the rear door that leads to the back yard as he said I do not need it. Do you have to give your landlord and superintendent a key to your apartment when you live in toronto ontario? Is it legal for a property manager in an apartment complex to change locks on doors to building entrances and then charge the tenants $5.00 for new keys? Is it legal to only give one key for two tenants on the lease? I was refused an additional key for two people on the lease agreement. It’s does not sense for two occupants to only be permitted one key and fob to get into the building. This made living and working frustrating and impossible to access getting into the building where you pay rent. Thank you.